Bad Stew will be getting a book. It will collect the first 13 issues plus various other tidbits of art and extras: that's more than 156 pages of comics! 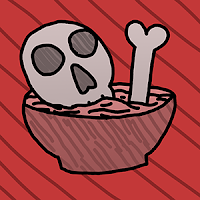 Bad Stew will update weekly! 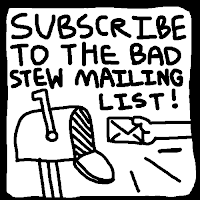 Starting next week, you will get a new chunk of Bad Stew every Sunday. The page count each week will vary, but there will still be 12 pages by the end of the month as always. The same amount of comics, but more often. Who could resist? 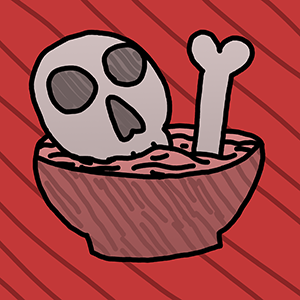 Which Bad Stew characters would you like to see on the cover of the book? Who are your favorites?